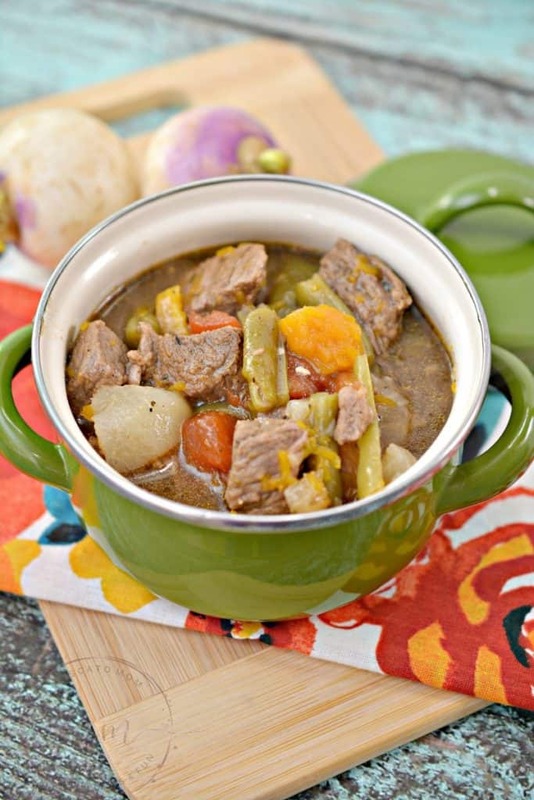 This Instant Pot Low Carb Beef Stew is ready in under one hour and has all of your favorite flavors – you won’t even miss the carbs! 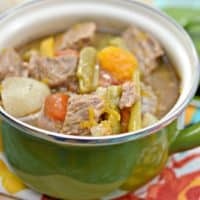 I am a sucker for vegetable beef stew, so I knew I had to find a way to make it low carb – fast! 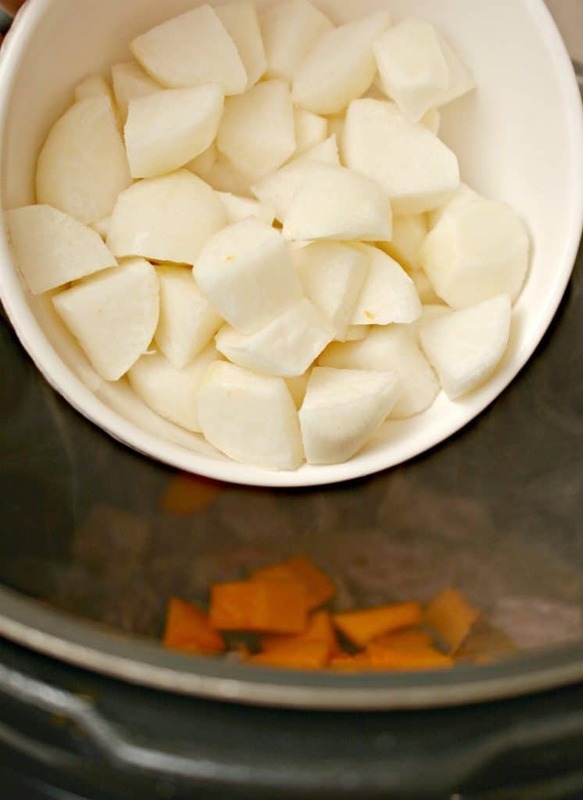 Fresh turnips are a great potato alternative which has far fewer carbs and just as much flavor! 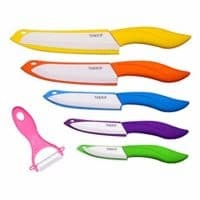 They are a bit harder to dice up, but if you have not started using ceramic knives yet, this is a great recipe to start! 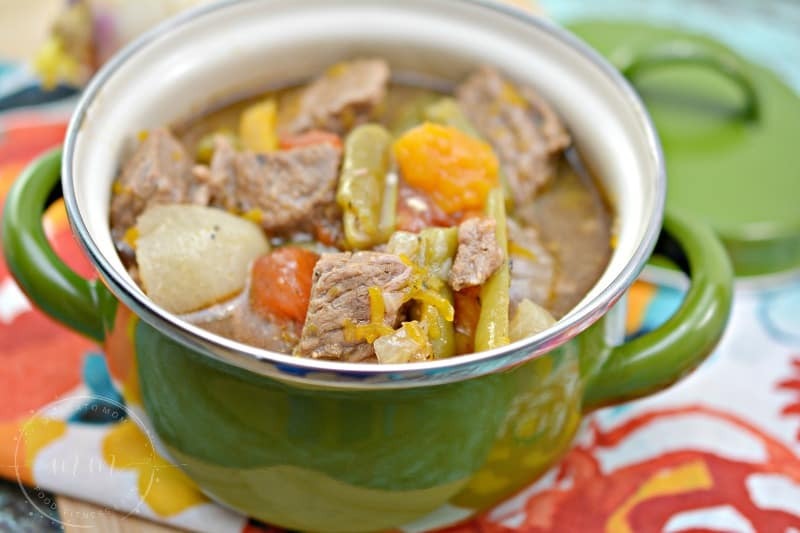 You can use these same ingredients to make a Low Carb Crockpot Beef Stew as well – just start by cooking the stew meat first, then add in your veggies and seasonings and let cook at least 4 hours. So delicious! You can also freeze this keto beef stew to make it easy to reheat for a fast low carb dinner. Turn the instant pot to Saute, and wait until it comes to heat. 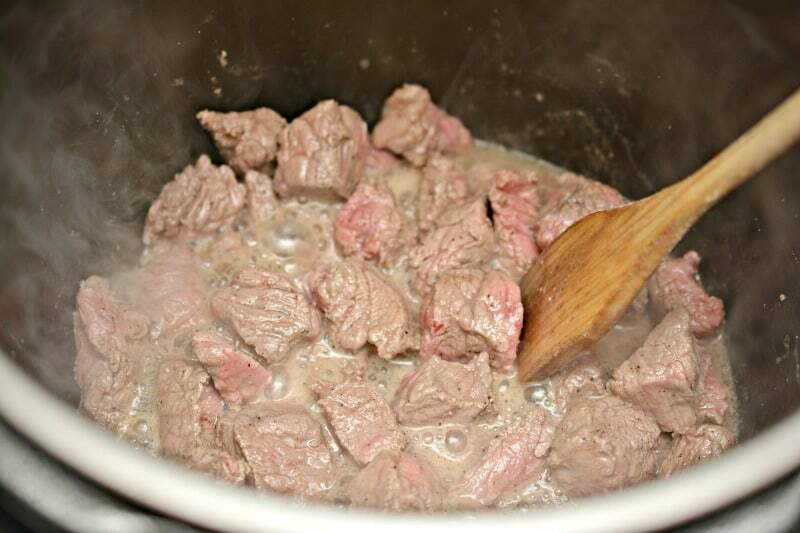 Add in 1 tbsp of olive oil, and your stew meat, and saute until browned well. Add salt and pepper to taste to the meat. Mix in the minced garlic, bay leaves, oregano and thyme, and continue cooking for another minute. Stir in the onions, butternut squash, green beans and turnips. Mix in the worcestershire sauce and balsamic vinegar, stirring to combine. Add in the diced tomatoes. 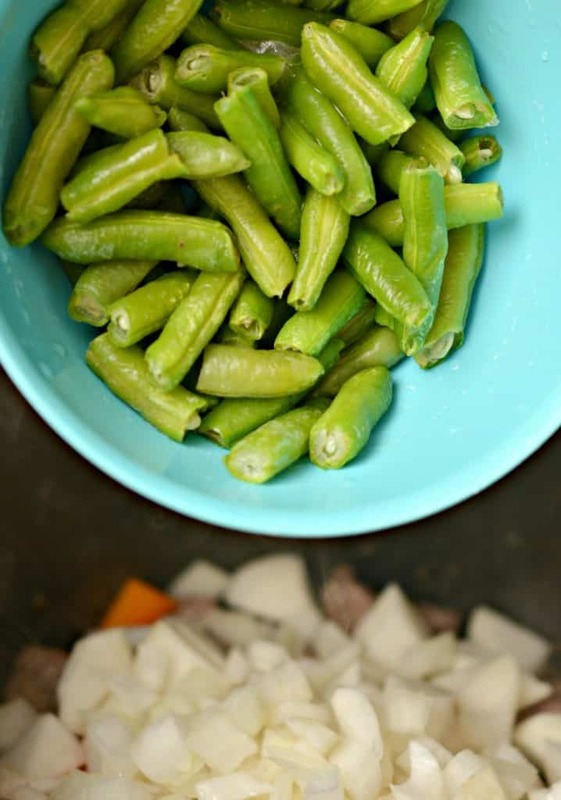 Close the lid on the Instant Pot, and select 30 minutes on the “soup” option. You can choose to do a quick release, or allow for an additional few minutes for a natural release. 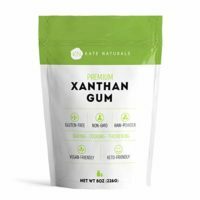 Sprinkle the xanthan gum on the surface of the beef stew ¼ tsp at a time until the whole teaspoon has been added. 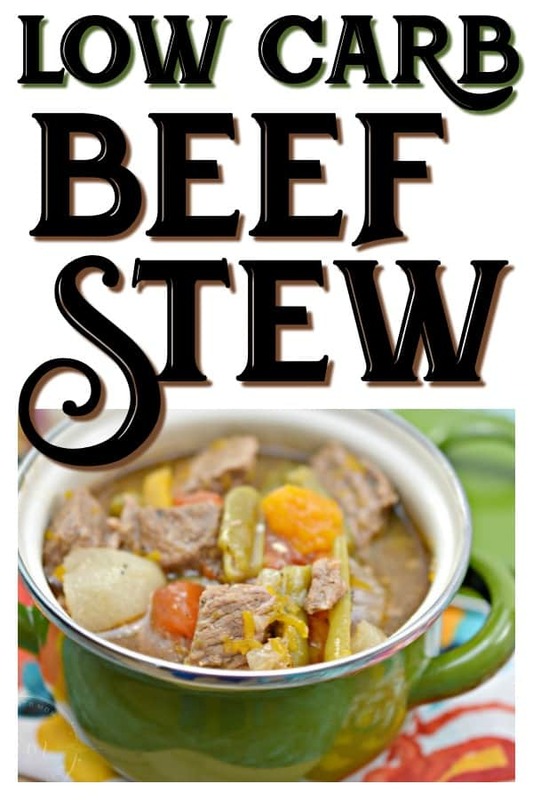 Stir, and allow a minute or two for the stew to thicken slightly. Serve immediately. 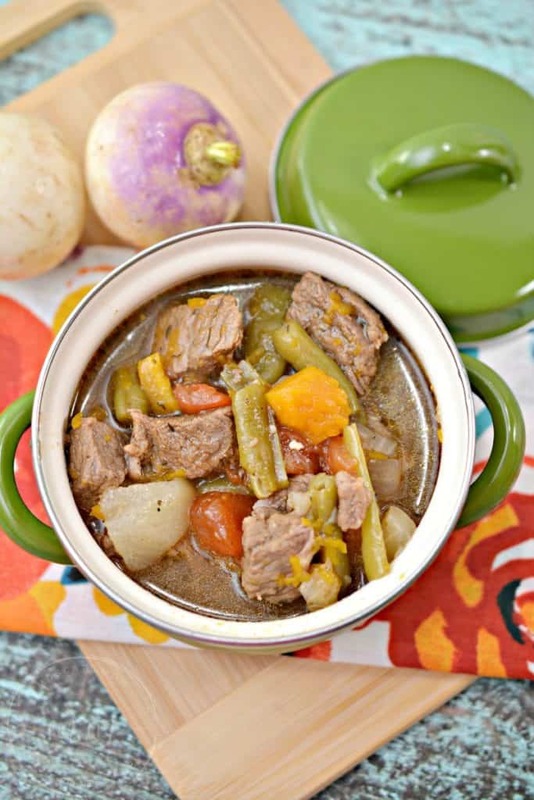 This Instant Pot Low Carb Beef Stew is ready in under one hour and ha all of your favorite flavors - you won't even miss the carbs! 1. Turn the instant pot to Saute, and wait until it comes to heat. 2. 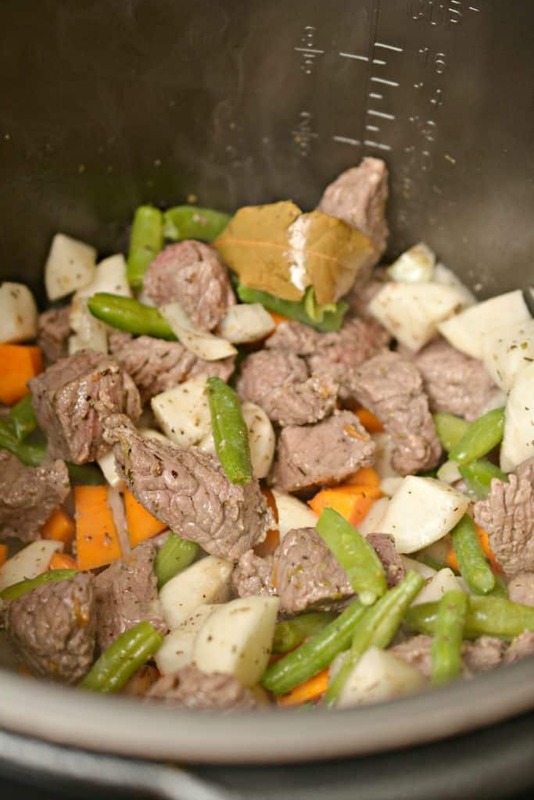 Add in 1 tbsp of olive oil, and your stew meat, and saute until browned well. Add salt and pepper to taste to the meat. 3. Mix in the minced garlic, bay leaves, oregano and thyme, and continue cooking for another minute. 4. Stir in the onions, butternut squash, green beans and turnips. 5. 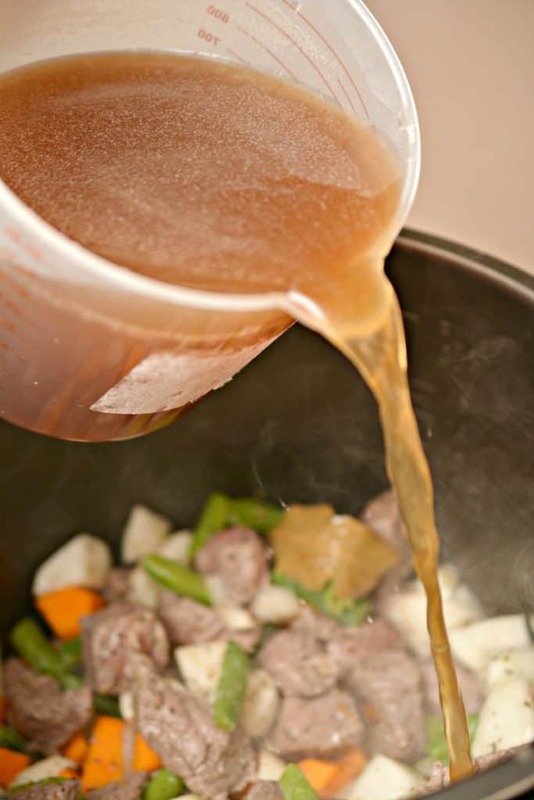 Pour in the beef broth. 6. Mix in the worcestershire sauce and balsamic vinegar, stirring to combine. 7. Add in the diced tomatoes. 8. 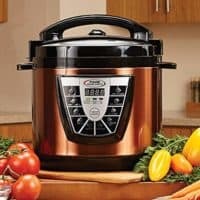 Close the lid on the Instant Pot, and select 30 minutes on the “soup” option. 9. You can choose to do a quick release, or allow for an additional few minutes for a natural release. 10. 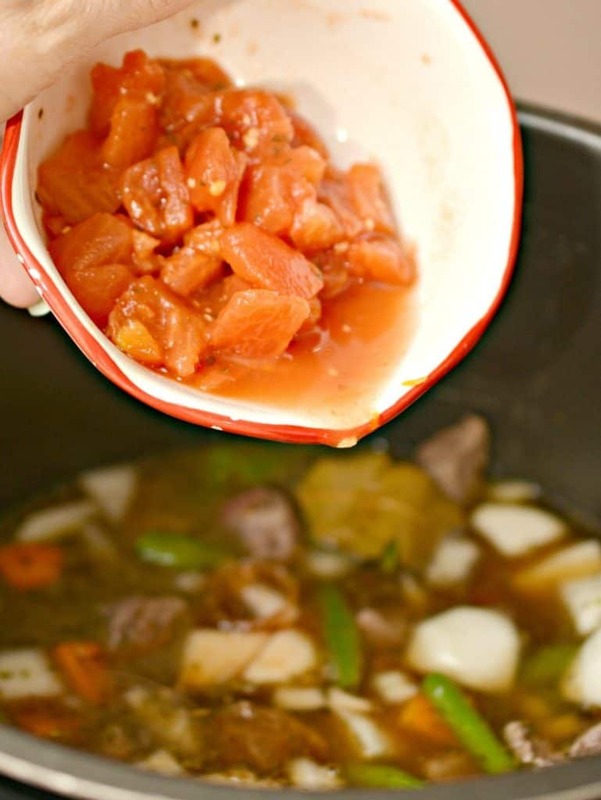 Sprinkle the xanthan gum on the surface of the beef stew ¼ tsp at a time until the whole teaspoon has been added. 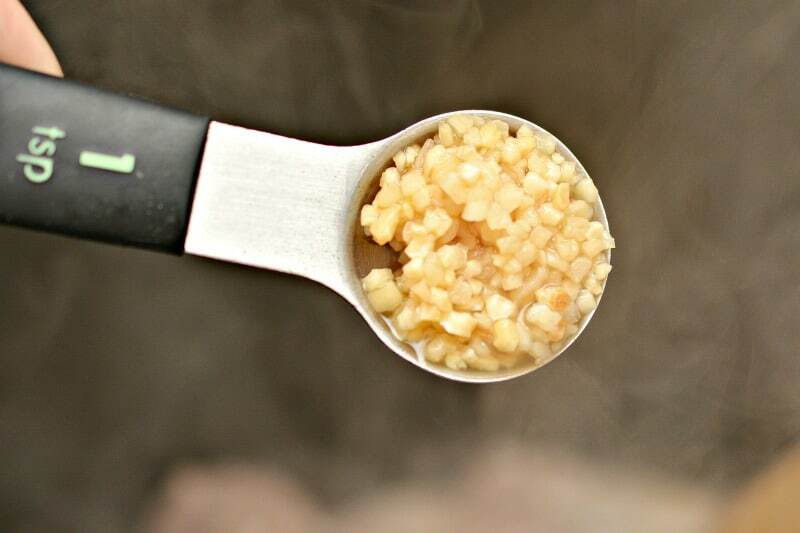 Stir, and allow a minute or two for the stew to thicken slightly. Serve immediately.